Our Galaxy is a member of a group of at least 30 galaxies called the Local Group, which extends more than three million light years across space. Over half are ‘small’, or dwarfs, less than 6,000 light years in diameter. These dwarf galaxies contain stars that are moving away from each other at high velocities, as shown by their measured radial velocities. Stars have what is known as space velocity, or movement in space with respect to our sun. Space velocity has two components: (i) radial velocity (toward or away from us) and (ii) proper motion (at right angles to our line of sight). Proper motion is measured by comparing the position of stars on two different photographic images of the same region of the sky taken at least a decade apart. 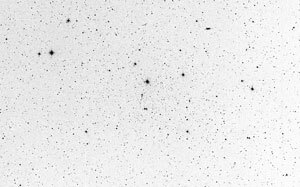 However the Local Group dwarf galaxies are too far away for us to observe changes in proper motion, so we can measure only radial velocities. The radial velocities for the dwarfs are obtained by analysing the spectra of various stars found in them. Astronomers assume that the Doppler shift applies and interpret blue shifts as indicating motion toward the earth and red shifts indicating motion away from the earth. If, as some have challenged (e.g. Halton Arp,1 Barry Setterfield2), redshifts are not the result of motion away from Earth, or 3D space expanding as in the big bang cosmology, this could significantly affect the interpretation of radial velocity measurements commonly used today in astronomy. But the Doppler interpretation of spectral shifts seems to be valid for the stars in dwarf galaxies. After astronomers have measured the radial velocity of a number of stars in a dwarf galaxy, they can work out how fast the stars are moving relative to each other. Surprisingly, many stars in the dwarf galaxies in the Local Group are moving away from each other at speeds close to 10–12 km/s. Astronomers recognise that, at face value, these high velocity dispersion stars indicate that they have not been moving through the dwarfs for billions of years. These stars could pose a major problem to big bang cosmology and the Hubble age of the universe. For astronomers who are committed to the big bang model and a universe billions of years old, these high velocity stars are a major problem. At these speeds, the stars should have dispersed in 100 Ma, which, compared with the supposed 15,000 Ma age of the universe, is a short time. How is it possible that the dwarf galaxies still contain such speedy stars? The answer, we are told, is ‘dark matter’. The only way that the stars could still be held inside the dwarf galaxies and not have escaped billions of years ago is if there is something holding them together. The proposal is that the dwarf galaxy contains a huge amount of additional mass that, except for its gravitational force, is entirely invisible and undetectable. This simple approach is based upon Newton’s 1st Law of Motion. Using this law and a dispersion velocity of 12 km/s, the stars would travel about 4,000 light years from their homes in only 100 Ma. The dark matter needs to surround and permeate the dwarfs to retain the speedy stars for billions of years. Astronomers researching the Local Group dwarfs use the M/L (mass-to-light) ratio, where both parameters are quoted in solar units (for the Sun, M/L = 1.0). The M/L ratio is an interpretation based upon stellar velocities measured in the galaxies, assuming that the galaxies still exist after billions of years because they are gravitationally bound. The higher the mass-to-light-ratio, the greater the amount of dark matter needed to keep the galaxy together. However, the high M/L ratios could be used to support a very young dynamical age for the Local Group dwarfs instead. Perhaps dwarf galaxies that exhibit large M/L ratios with speedy stars may simply be evidence for a young age and not objects that are billions of years old. There may be no need for a large quantity of dark matter, since a young universe does not necessarily require galaxies (or clusters of galaxies) to be gravitationally bound. Astronomer Ken Croswell (Ph.D. in astronomy from Harvard University, who contributes articles from time to time in New Scientist, Astronomy and Sky & Telescope) clearly recognises the problem that high velocity dispersion stars present for our neighbouring dwarf galaxies like Draco and Ursa Minor. Keep in mind that Draco is only about 4,500 light-years in diameter while Ursa Minor is even smaller at 3,000 light years. The Galactic tide is a differential gravitational force exerted by the Milky Way on the Local Group dwarf galaxies. The edge of a dwarf nearest the centre of the Milky Way feels a stronger pull than the edge farther away. In theory, dwarf galaxies could be torn apart and lose stars, especially the high velocity dispersion stars. It is clear that high velocity dispersion stars should have escaped from the dwarfs long ago according to big bang cosmology and Hubble time. 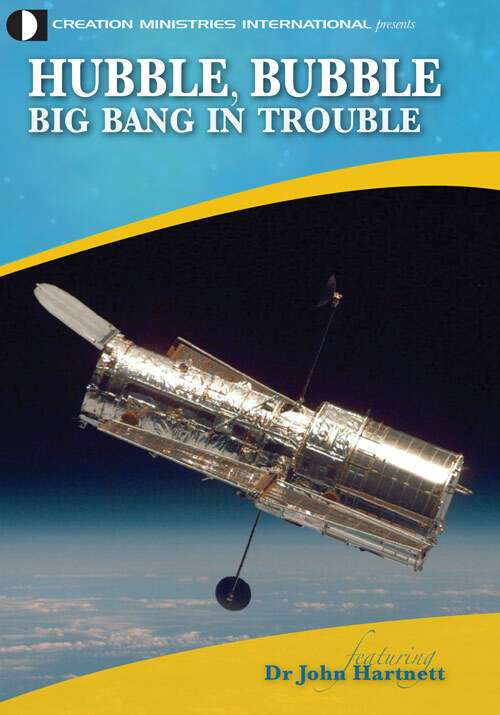 So, to save their theory, big bang astronomers invoke a number of difficult-to-test and perhaps incapable-of-proof hypotheses, like dark matter. It is clear that high velocity dispersion stars should have escaped from the dwarfs long ago according to big bang cosmology and Hubble time. To be fair, evolutionists would not expect to find a significant amount of dark matter in the solar system or the local neighbourhood from the galactic rotation profile. Orbital velocities of stars in the inner portions of spiral galaxies (including the Milky Way) can be accounted for by the mass of the observed stars (and gas and dust) alone. But the outer portions of spiral galaxies require a substantial amount of dark matter to ensure they are gravitationally bound. Another recent effort to detect dark matter in the solar vicinity derives from the Hipparcos data. Motions of spectral class-A stars were examined out to a distance of about 125 parsecs (410 light-years) from Earth. a. 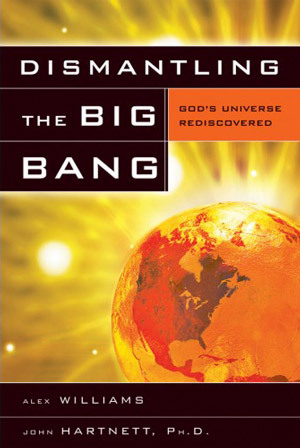 The creation model does not need to invoke dark matter to explain cosmology or the origin of the universe. If dark matter were eventually confirmed and clearly defined as to what it may be, the creation model would neither gain nor lose. However, if future observations show that dark matter is insufficient to bind galaxies (or clusters thereof), this would be very strong evidence supporting a young universe. b. The evolution model is very dependent upon the reality of dark matter to support a billion-year-old universe. Evolutionists invoke dark matter to explain how the first Population III stars formed, how galaxy clusters have been held together and how speedy stars have remained inside the Local Group dwarf galaxies. c. A young universe does not require the dust, gas and stars in spiral galaxies to be gravitationally bound to complete multiple revolutions over billions of years. Perhaps the galaxies are slowly dispersing and will not complete multiple revolutions. In the same way, the speedy stars in Local Group dwarf galaxies may be slowly escaping. Efforts to extrapolate orbital interactions between members of the Local Group over billions and billions of years. ‘Young’ Population I stars found along with ‘old’ Population II stars observed in the dwarf galaxies. The amount of dark matter contained in them to retain the speedy stars. All these observations may support the concept of a recent creation featuring an abrupt origin of stellar bodies. Arp, H., Quasars, Redshifts and Controversies, Interstellar Media, Cambridge University Press, 1987; Arp, H., Seeing Red: Redshifts, Cosmology and Academic Science, Apeiron, Montreal, 1999. See reviews this issue: pp. 39–50. Return to Text. Setterfield, B., C decay and redshift, Journal of Creation 1:71–86, 1984. Return to Text. Croswell, K., The Alchemy of the Heavens, Anchor Books, p. 206, 1995. Return to Text. Croswell, ref. 3, p. 209. Return to Text. NewsNotes, Is dark matter just plain hydrogen? Sky & Telescope 99(1):20, 2000. Return to Text. AstroNews, Solar system dark matter? 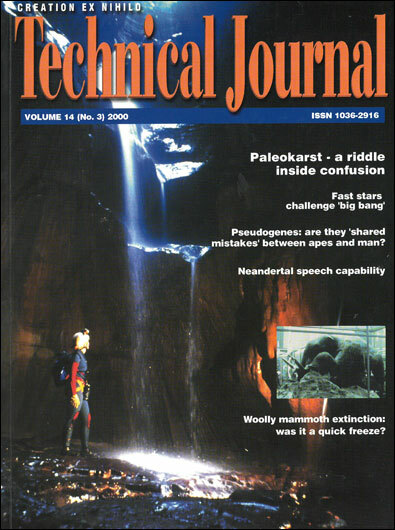 Astronomy 23(12):26, 1995. Return to Text. Perryman, M., Hipparcos: The stars in three dimensions, Sky & Telescope 97(6):44, 1999. Return to text. Cited in Croswell, ref. 3, p. 214. Return to text. Mateo, M., Olszewski, E.W., Vogt, S.S. and Keane, M.J., The internal kinematics of the Leo I dwarf spheroidal galaxy: dark matter at the fringe of the Milky Way, The Astronomical Journal 116(5):2315–2327, 1998. Also see Kleyna, J., Geller, M., Kenyon, S. and Kurtz, M., Measuring the dark matter scale of Local Group dwarf spheroidals, The Astronomical Journal 117(3):1275–1284, 1999 as cited in the NASA ADS Astronomy Abstract Service at <http://adswww.harvard.edu>, June 28 2000. Return to text. Hodge, P., Our new! improved! 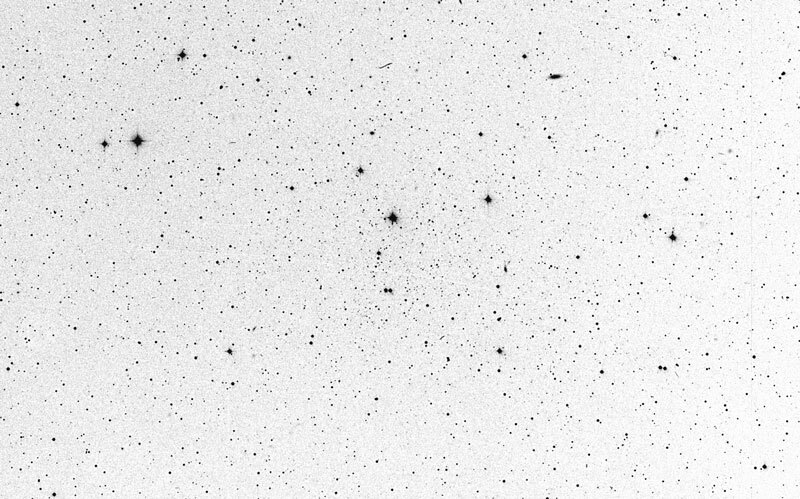 cluster of galaxies, Astronomy 22(2):31, 1994. Return to Text. Hodge, P., ref. 10, p. 29. Return to Text.